Price: Zero. Zilch. Nada. Nothing. Plan to run an NFL Super Bowl Pool? 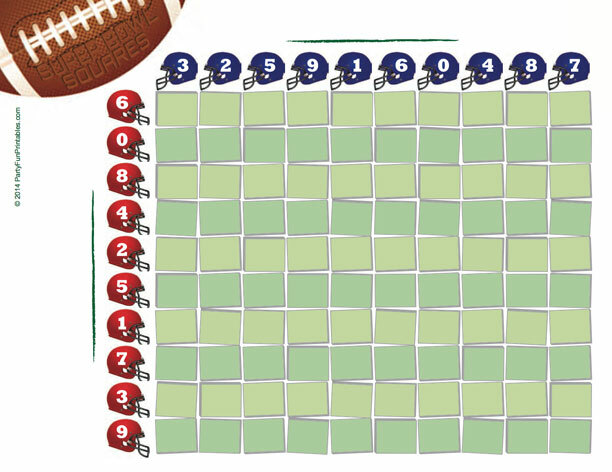 Using the Super Bowl Squares is one of the most fun ways to do it, while giving all players (novices and NFL superfans alike) a shot at winning! After you posted the squares, inform potential players of the pool. Let them select a square (or more) to put in their name or initials in. 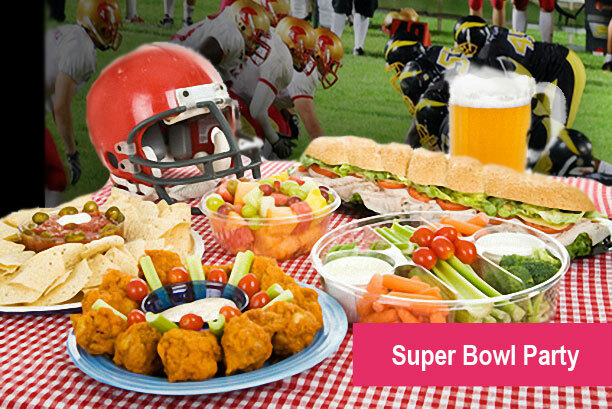 Then, of course, it's Super Bowl Time! Tally the score at the end of the game or the end of each quarter. Find the player(s) who correctly predicted the final digits of that score. The winner(s) is determined as follows: Hypothetically imagine that on your chart the Cowboys are written on the column side and the Browns are written on the row side. The final score is 32 Comboys and 36 Browns. The last number in the Cowboys' score is 2 and the last number in the Browns score is 6. The square on the grid that intersects the Cowboys with a score of 2, and the Browns with a score of 6, is the winner. 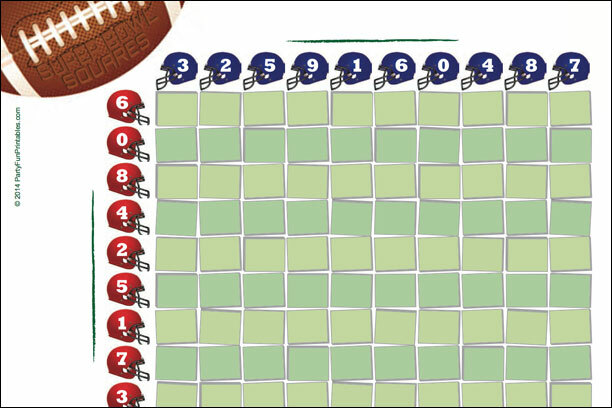 On the page with the squares, write the names of the two teams competing in this year's Super Bowl, one on the column side and one on the row side. We’ve included 2 versions, one with random numbers 0-9 (one of each in each column and row) already assigned and one blank (in case you want to do that yourself). You could also get your players to choose a blind score and fill in random numbers AFTER the chart is full. The digits represent the last digits of the score (so 36-24 would translate to 6 and 4). Post the squares chart in a place where the players can easily reach it. If you want to reward the right prediction at the end of each quarter, it’s common to give the quarter winners 20% of the pot, and the person who correctly predicted the final score, 40%. 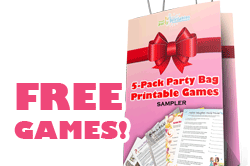 Or you could have door prizes for each of the winners.